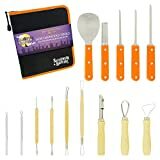 A complete 14 piece high quality professional stainless steel pumpkin carving tool kit with every tool any level of carver would need to easily carve realistic amazing details into your own Halloween jack-o-lantern pumpkins. 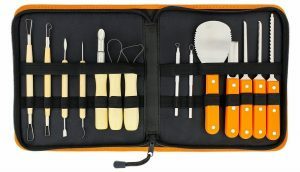 Kids and adults love this kit because they can carve basic traditional designs or bring the Jack-O-Lantern to life with realistic expressive 3 dimensional facial details like hair, teeth, nose and eyes. Hop on over here to grab this kit for 16.96!